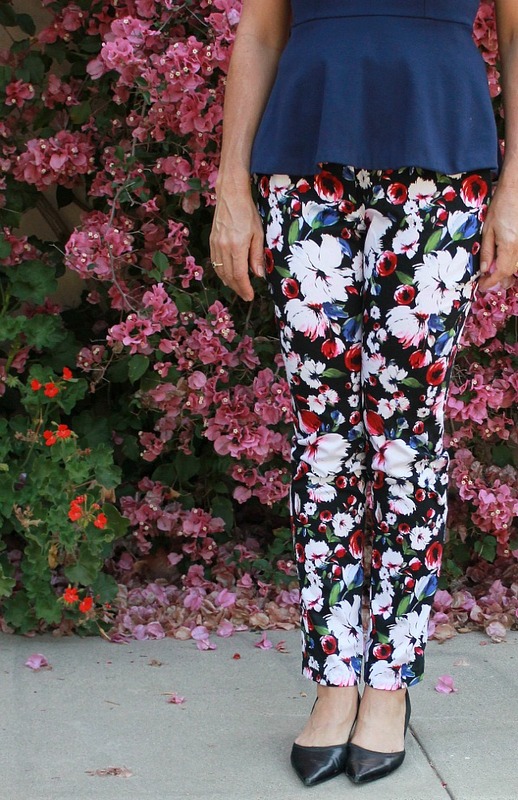 OK, these stretch floral pants don’t exactly count for being basic but if I wore them with a black T shirt they might be, right? The peplum top is a great basic. I’ll probably end up wearing it with jeans a lot. The top is made from double knit I bought at Britex in San Francisco and the pants are made from stretch cotton woven from Mood in Los Angeles. 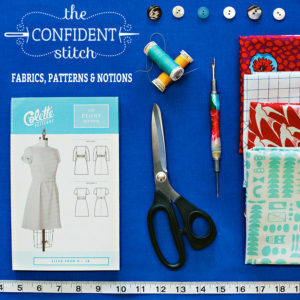 I recommend both of these patterns because the instructions are excellent and the fit was good without many adjustments. I cut a size smaller than recommended for my measurements as usual, a size 10 instead of a 12, and everything fit almost perfectly out of the envelope. The pants have extensive instructions on fitting and come with one inch seam allowances to allow for adjustments. I also sewed a zipper fly, my first time, without too much trouble. However, the peplum top recommended facing the neck and arms with bias tape and top stitching. I traced the pattern and made old fashioned facings instead. I’m trying to take more care with my sewing and one of the things I am trying to do is remove ANY SIGNS OF STITCHING from my outer garment. 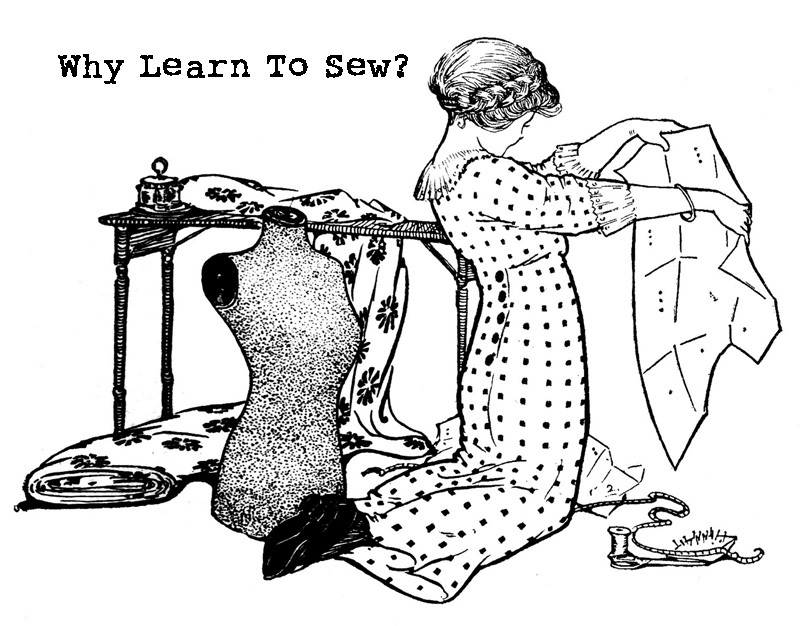 I was taught to sew in a time when machine stitching on the outside of a woven garment was a sign of poor quality, unless you were wearing jeans and knit clothing items like T shirts. The hems on fine clothing were always supposed to be invisible. I’m always a little taken aback when a pattern tells me to just turn a hem over twice and stitch it down with my machine. Since most home sewing machines don’t exactly do a great job of top stitching, mine included, a machine sewn hem always looks a little shoddy and “homemade” to me. BTW, I need to tack down that neckline facing! Sewing things the old way takes more time but if you are interested in really getting good at sewing it’s worth it. I have a few sewing books printed from the 1940’s to the 1960’s that I like to consult. 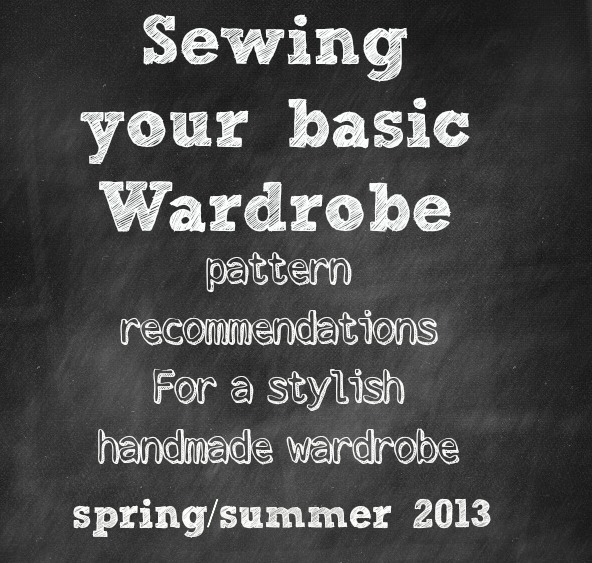 Get an old sewing book and you can’t go wrong! Walk into any designer boutique and look at clothing from Chanel, Valentino, or Gucci. You most definitely will never see a machine sewn hem. So I’m surprised patterns recommend this shortcut instead of doing a hem the right way, which is a blind hem or a catch stitched hem. Just my two cents here, readers! I used an exposed zipper on the back of the top. It’s a little hard to see but I like it! 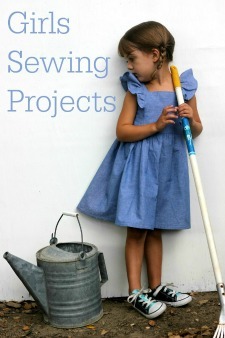 I’m entering this outfit into the Project Sewn Sew Along Pool. The challenge is 80’s fashion. 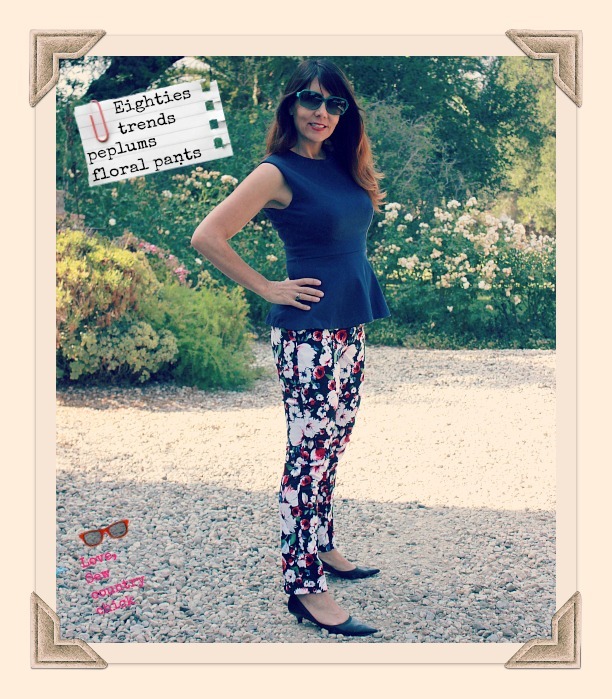 The peplum top and the floral pants were huge trends in the eighties. I know because I’m old enough that I actually wore both. I’ve heard the saying that “If you are old enough to have worn a trend the first time around you shouldn’t be wearing it again”. Well I say, go for it! Side pockets, zip fly, bias bound waistband, belt loops, mock back welt pocket. Self fabric top facings, hem tape used for the hems on both the top and the pants. I love hem tape. It fits you perfectly! I never thought about it, but you are absolutely right about visible stitches. Great outfit.. and I can see this as being one of your basic /get lots of wear out of it.. The fit is great and looks good on you. I love the peplum top.. It is so comfortable too, isn’t it? Yes the peplum top is very comfy being doubleknit. But a little hot for So Cal weather. 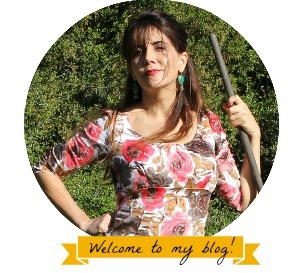 OMG – the fit on those trousers is excellent – I am so jealous ! I’ve made some shorts so far, and 3 muslins for a pair of trousers but still haven’t got them to the point where I would actually buy them in a shop. My bum/hips are not what you might call the model shape so I’m having trouble. Wish I had your figure and your trousers! Fabulous. I think you have a great figure, Deby! 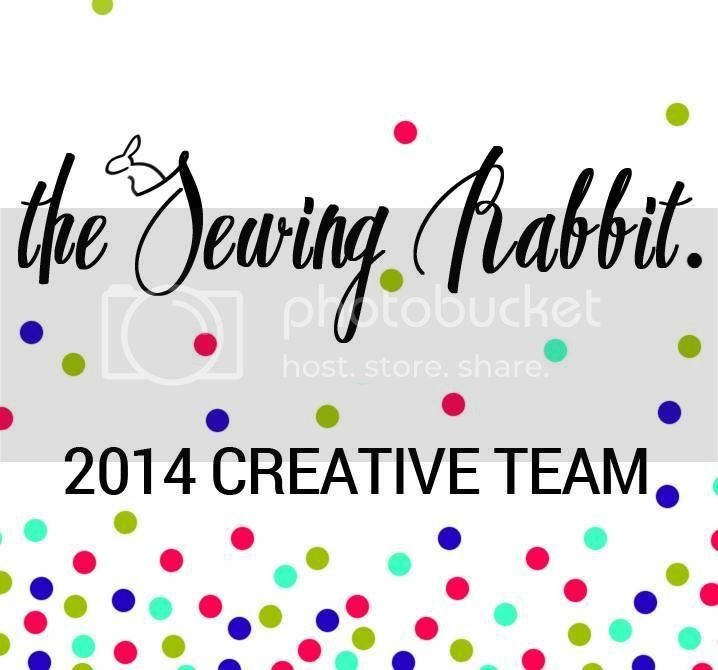 I totally agree with you about top stitching. 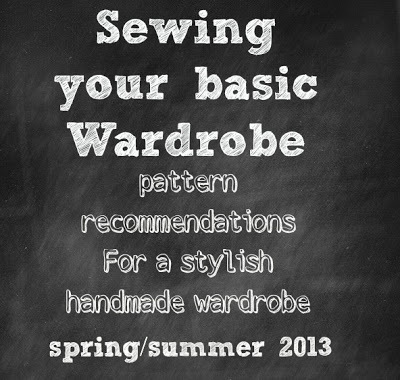 Do you know a good tutorial for a blind hem? I’ve not been successful in the past…I can’t get the fold right. I wish I could find one with fabric that is different colors F&B so I could see it better. I just look at my old books. I do it by hand. A basic is what you wear over and over, in my opinion. 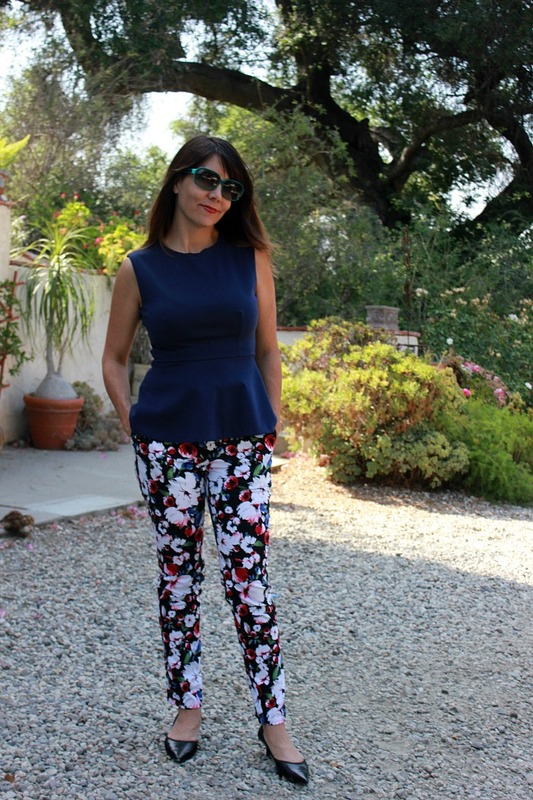 Since the floral pants and peplum top look great on you and you’ll be wearing them a lot, it’s your basic. Agree with you about the blind hem and other “fine” finishing. Love the outfit, although I have “a thing” about the exposed zippers, I still can’t like them 100%. love the fit of the peplum and I confess I like to do my hems by hand, I even mentioned that in my blog this week. I’m stilll on the fence about exposed zips too, Magda. looks a little too crafty maybe? Gorgeous outfit and beautifully sewn! You look fantastic. I’m trying to do more separates, but boy it can be hard to put down those dress patterns. Darling outfit. The exposed zipper adds a nice touch! Spot on with the fit! Bravo to you on your first zip fly. I really need to try one soon. 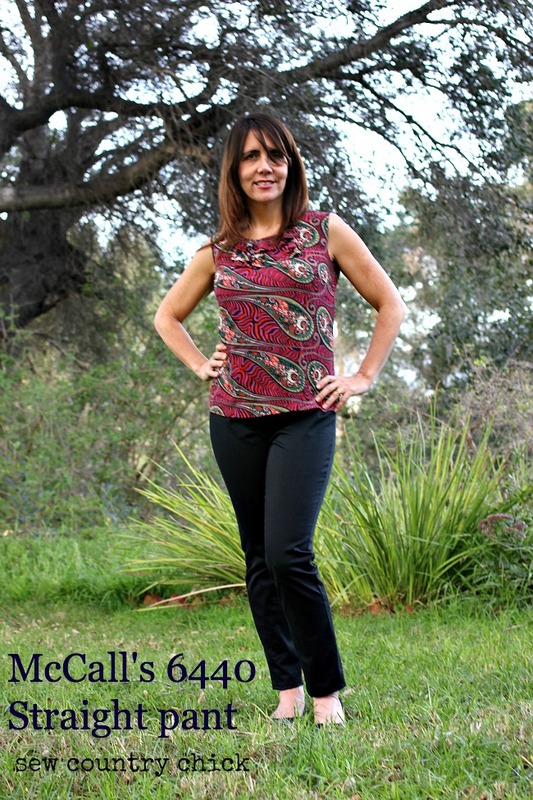 my favorite is the peplum, I think that is a great basic top that will go with all sorts of fun printed pants. I agree with your point about showing the stitching, btw, especially on our home machines. Gosh, I love both of these items and the outfit as a whole! And I love that you took the time to finish them so beautifully! I love both of these pieces! Hard to believe they fit right out of the envelope. The saying you shouldn’t wear a trend if you wore it the first time around haunts me, too. I’m so glad you said go for it…you are totally rockin’ this look! Inspires me to go for it, too. The outfit is so cute. I love your style. The peplum top would look great with either a skirt and set of pearls or jeans. 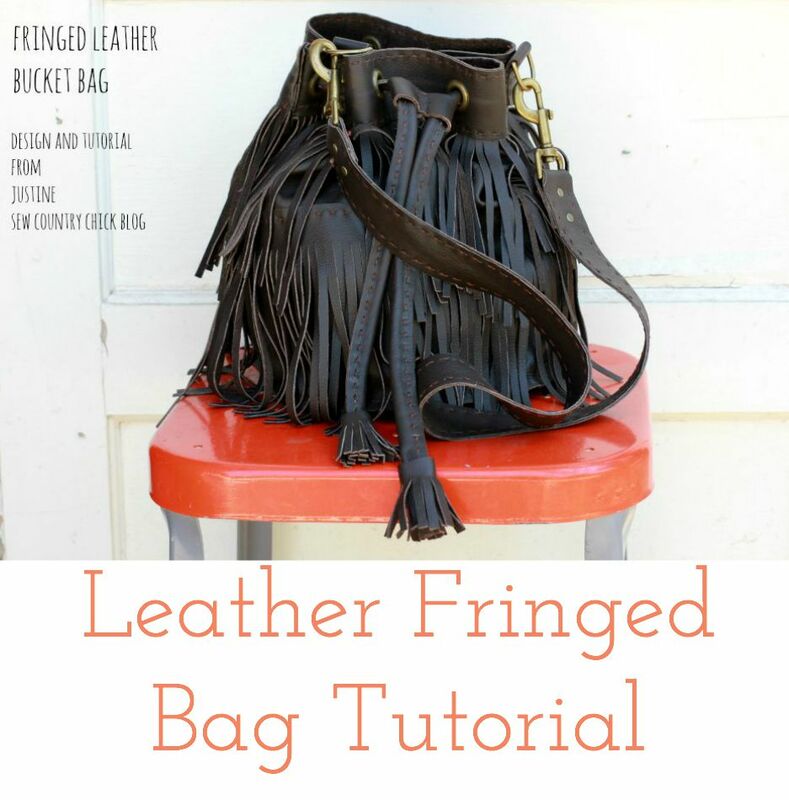 What a fantastic basic to add to your wardrobe. Such a cute, cute outfit and fits you perfectly! 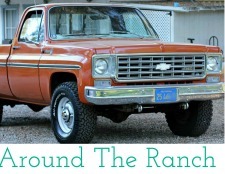 In my 20’s in the 80’s, I think you’ve sewn a terrific updated classic 80’s look. I love this! So cute! I voted for you 🙂 ! Love the trousers so much! And you are right about the sewing not showing on the outside. My mom was horrified when I showed the first dress I ever sewed for my daughter and she gave me the same advise as you explain here! You look great in these new garments. I’ll have to go check out the submitted garments. Um, very cute! I just went and voted for you, too! Justine you are amazing! This is such a cute outfit and looks fabulous on you! You look fab with this bold floral print! I’d really like to wear something similsr! This is a very pretty outfit. 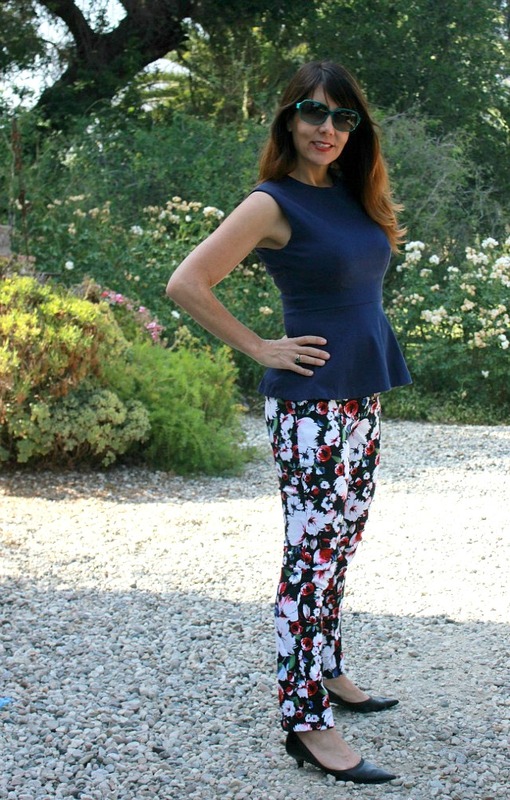 I love the peplum top, and I have that pants pattern. 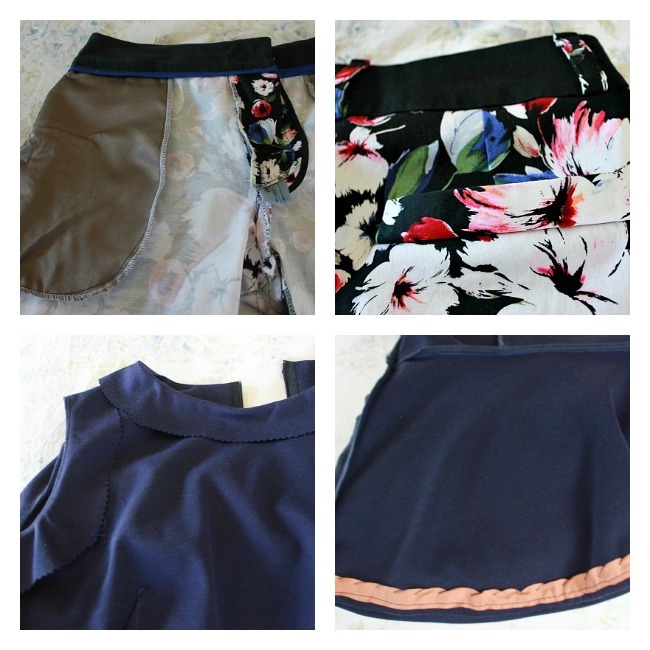 I have been wanting to sew some up, so it is really great to get to see them made. Lovely work! I am in love with that top. It looks so great on you and I love how you paired it with the more bold floral pants (that also turned out great by the way!) I need to get better at blindstitching my hems. I just get lazy because I’m so close to finishing that I just want to finish and be able to get to the fun part, wearing it! ha but I completely agree with you, blindstitched hems look so much better. I just wanted to mention the top’s pattern # is 8815 (typo? ); but, thank you for putting this info out here for the rest of us to enjoy and research! Love the top and pants together. Wonderful pairing and I completely agree about the facings. 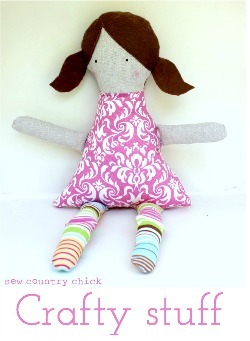 I can see how this would be your favourite sewn project of 2013! I loved it when I first saw it last year, and I love it now!